Bestselling author who wrote over eighty Perry Mason courtroom novels and won both the Grand Master Award and the Edgar Award. 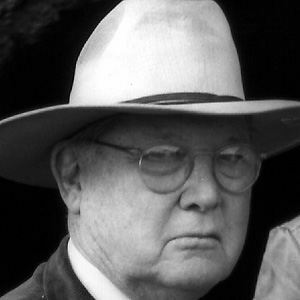 He published under several pen names, including A.A. Fair, Kyle Corning, and Carleton Kendrake. He attended law school at Valparaiso University for only a month, too distracted by his interest in boxing to fully concentrate on his studies. After studying on his own and passing the California Bar Exam in 1911, however, he was able to set up his own law firm in Ventura, California. He wrote, in addition to the popular Perry Mason novels, mystery series featuring characters Terry Clane and Gramps Wiggins. He married Natalie Frances Talbert in 1912; together, the couple had a daughter named Grace. In 1968, he was remarried to Agnes Jean Bethell, who had served for many years as his secretary. Actor Raymond Burr played Gardner's character, Perry Mason, on the long-running television series.